According to numbers from the National Highway Traffic Safety Administration (NHTSA), there were a total of 2.4 million injuries and 35,092 fatalities caused by auto accidents in 2015. Of these numbers, motorcycles made a significant number, especially given that they are less common on the road than other kinds of passenger vehicles. The attorneys at our White Plains, NY law firm have helped countless victims of auto accidents over the years. Right now, we want to focus on the dangers of motorcycle collisions. Going over national and state data should help you understand the risks involved in being a motorcyclist, and why safety must always be on your mind while on your vehicle. National motorcycle statistics compiled by the NHTSA reveal the dangers for people on motorcycles. In 2015, an estimated 88,000 motorcyclists were injured. This is down from 2014 numbers, with an estimated 92,000 injuries. According to the NHTSA, 4,976 motorcyclists killed in accents in 2015. This was an increase over 2014 numbers (4,594) and the highest number of fatalities since 2012 (4,986). Focusing on New York, the NHTSA notes that there were 144 motorcyclists who were killed in 2015 in the state of New York alone. While this number is relatively high, the most motorcycle accident fatalities in 2015 occurred in geographically larger states like Florida (577), California (449), and Texas (422). 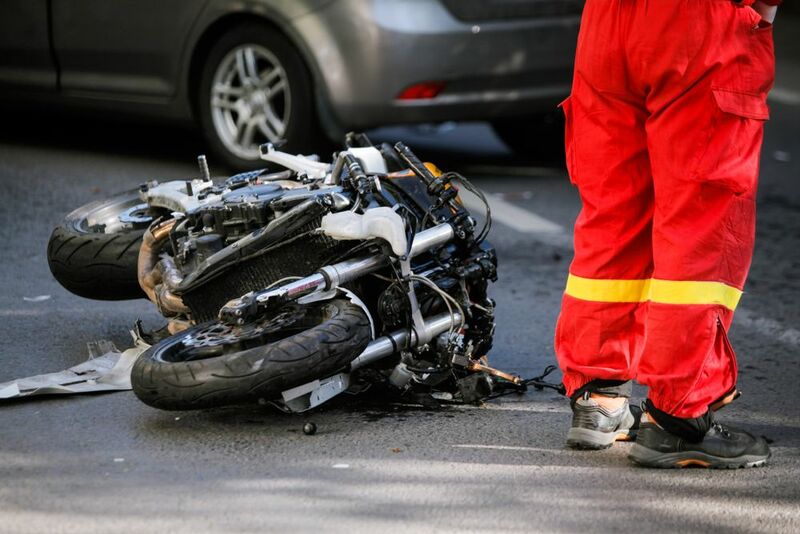 Fatal motorcycle accidents tend to happen more in urban areas (55 percent) than in rural areas (45 percent). They’re more typical outside of intersections on various kinds of roads, from non-interstate expressways (7 percent) to principal arterial roadways (30 percent). On busy roads, be sure to be extra cautious of others around you. Speeding plays a significant role in a number of accidents each year. Among motorcyclists killed in collisions, roughly 33 percent of them were speeding. As you can imagine, excessive speed was either the cause or a major contributing factor to the fatal crash. Always abide by the posted speed limit. It can save your life and the lives of others. It’s important that we also mention the dangers of alcohol consumption when it comes to motorcycles. Riding and operating a motorcycle can be dangerous already, but when alcohol is involved, the dangers are even more pronounced. Around 27 percent of all motorcyclists killed in 2015 had a BAC of .08 or higher. If you have too much to drink, do not get on your motorcycle. Call a cab, get a ride from a sober friend, or find some place to stay the night until you are fit to drive. If you or someone you care about has been involved in a motorcycle accident, be sure to contact the attorneys of Worby Vecchio Edelman, LLP. Our lawyers will guide you through the legal process every step of the way.